Infosys co-founder and tech billionaire Nandan Nilekani and his wife Rohini Nilekani have joined The Giving Pledge, an elite network of the world’s wealthiest individuals committing half their wealth to philanthropy. Pioneered by Microsoft founder Bill Gates, his wife Melinda Gates, and billionaire investor Warren Buffett in 2010, The Giving Pledge has seen as many as 171 wealthy philanthropists across the world sign up for the cause. In India, Nilekanis are the fourth after Wipro chairman Azim Premji, Biocon chairman Kiran Mazumdar-Shaw, and Sobha Developers chairman emeritus PNC Menon. A first-generation entrepreneur, Nandan Nilekani is estimated to be worth $1.7 billion, deriving most of his wealth from Infosys stocks. Earlier in the day, The Giving Pledge site put out Nilekanis' letter signing up for the cause and Bill Gates welcomed the couple to the collective through Twitter. “Wealth comes with huge responsibility and is best deployed for the larger public interest,” the Nilekanis said while signing The Giving Pledge. “….the flip side, we see, too, that inequality is increasing sharply in most countries. We see the young and the restless in this interconnected globe, unsure of their future, wanting more but anticipating less. We see a growing politics of polarisation, of divisions, of brinksmanship. It is as if the world holds its breath,” they wrote in the letter. “What should we do at this time? That is a question every citizen must ask. Those of us who have wealth beyond all our wants must ask that very sharply,” they added. “We are excited by our initial experimentation with societal platforms in early education, and see immense potential for scaling up diverse solutions,” Nilekanis said, touching upon their ongoing initiatives such as EkStep. 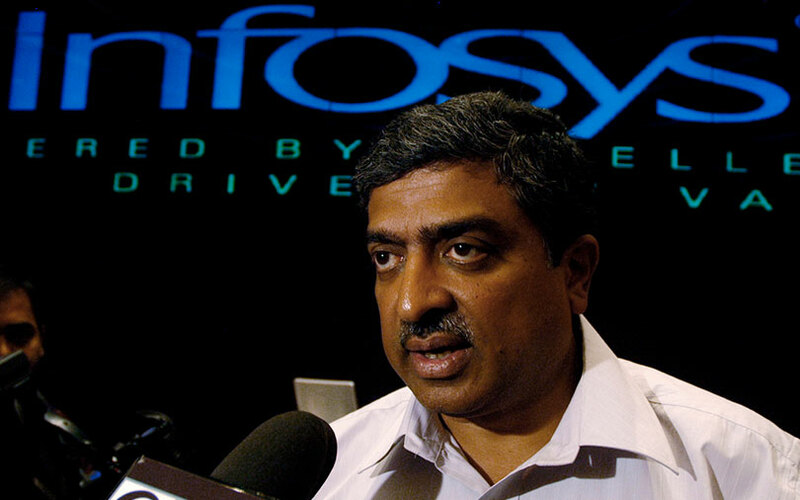 Nandan Nilekani, who led Infosys as CEO and managing director, left the firm in 2009 to oversee the central government’s Unique Identity project. After dabbling in politics briefly, he concentrated on several policy initiatives around fin-tech, startups and urban planning. The Nilekanis have also supported a bunch of digital media initiatives including The Economic and Political Weekly, Indiaspend.org and The Print. Along with Premji and Shaw, they also funded a trust to promote independent media initiatives. Nilekani recently teamed up with Helion Ventures co-founder Sanjeev Aggarwal to launch a venture capital fund with an initial target corpus of $100 million to invest in startups. Called the Fundamentum Partnership, the platform will focus on Series B or Series C rounds by investing $10 million to $25 million. However, the couple have spent most of their time and resources on non-profit initiatives. Through EkStep, they work on a project to teach India’s poor, school-age children math and language skills through the use of primarily mobile gaming technology. It aims to improve literacy and numeracy among 200 million children over a five-year period, using smartphones, tablets and apps. Rohini Nilekani is also founder of Arghyam, an initiative for safe and sustainable water. Nandan has joined hands with Tata Group chairman emeritus Ratan Tata to set up a microfinance firm. Nandan recently returned to Infosys as non-executive chairman following a lengthy feud between the board and the company’s founders.